Altitude’s effects on RV camping can be as minimal as an exploding bag of chips or as major as a cerebral edema. 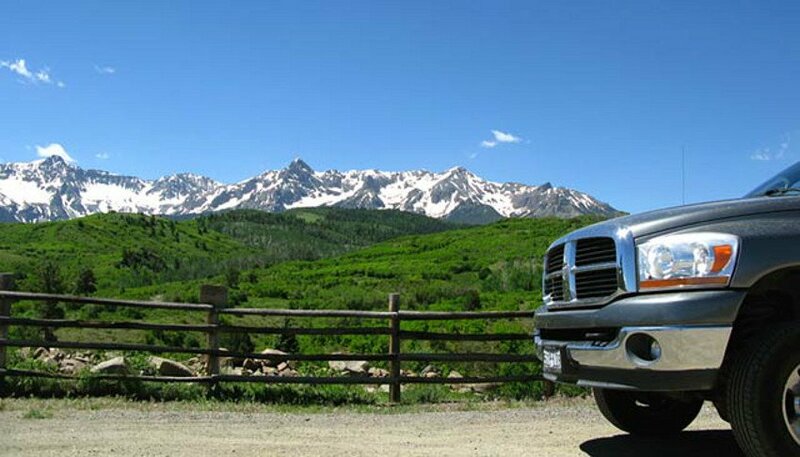 When you take your RV to the mountains, you can expect to deal with altitude’s effect on anything from RV appliances to electronics, food, people and even pets. Do you suffer from altitude’s effects on RV living? Although there is some disagreement over how badly altitude’s effects on RV trips can be, in general this is what many people experience. Your most precious cargo could suffer from altitude’s effects on RV camping. Altitude sickness is a common problem for flat-landers who go RVing in the mountains. Also known as Acute Mountain Sickness (or AMS), this potentially serious health issue generally occurs at elevations more than 8,000-feet, but sometimes lower. Anyone with heart and lung problems are more prone, but those who’ve had it once are more likely to get it again. If it`s left untreated it can lead to hospitalization. This RV Life article has helpful tips to ward off symptoms and staying healthy at high altitude camping locations. As for pets, they can show altitude sickness symptoms that include tiredness, panting, and even vomiting. 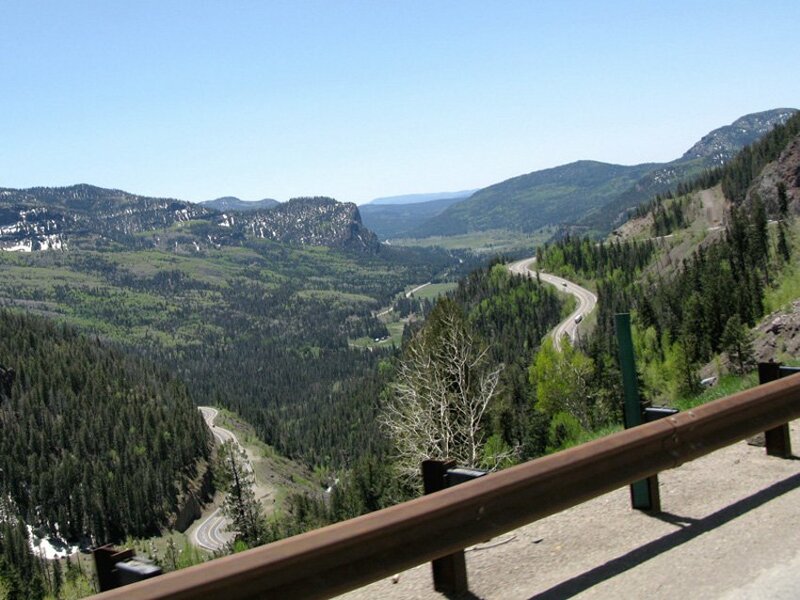 Colorado’s Wolf Creek Pass is one area where you might experience problems. Did you know that your laptop can fail above 10,000-feet altitude? It’s true. Whether it’s a PC or Mac, laptop hard drives can potentially freeze, shut down and die when taken to high altitude destinations. If you take your printer on the road, that’s another electronic that can be affected by altitude. The ink cartridges inside your printer are the problem if you try to save money by purchasing remanufactured ink cartridges. These inexpensive generic substitutes are cheap for a reason as they are known to leak at high altitudes. The pricer name-brand competitors usually do not. Join any RVing community and you’ll find a lively debate among RVers who argue over this issue. One camp says that altitude’s effects on RV camping include a sporadic operation of propane-powered refrigerators, water heaters, and other appliances. The other says that their own propane appliances have never experienced altitude issues. A lively debate ensues when talking about altitude and RVing. You may experience reduced cooling performance of the refrigerator. You may experience burner outages. To avoid these possible problems, Norcold recommends that you operate the refrigerator on AC when at altitudes higher than 5500 feet above sea level. You’ll know if your RV appliances are suffering if the flame keeps blowing out when trying to ignite. Unfortunately, if you’re one of the unlucky few with appliances suffering from altitude’s effects on RV camping, there’s not much you can do except plug into shore power or get off the mountain. Power decreases 3.5 percent for each 1,000 feet above an altitude of 500 feet. For example, to operate at 4,500 feet (4,000 feet above rated generator altitude) multiply 3.5% x 4 (4,000 ft) = 14% power loss. Then multiply .14 x your generator’s power rating. Example, 4,000 watts x .14 = a loss of 560 watts at that altitude. Diesel-powered generators can handle higher altitude better than gas-powered ones. However, Onan makes generators with carburetors that can be adjusted for higher altitude. You just have to remember to reset it when you descend, or you can cause serious damage to your generator. In general, most people get along great when they head to the mountains with their RV but a few unlucky ones just don’t. However, as long as you’re aware of the potential issues that can happen when you go RVing at high altitudes, you’ll be well-prepared to deal with any that could arise. It has been my experience that Altitude effects A1C readings. I visited my doctor after spending 6 months at 8,000′ ASL and returning home at 500′ ASL. He was sure I was in bad shape but after monitoring blood sugar levels and doing some reading we just waited six weeks to recheck A1C and they were back to normal. I guess up at 8000″ you require more red blood cells to carry what little O2 that is available. Thanks Dave. I had to look up “A1C” which I learned is a common test to diagnose diabetes. This is good insight, thank you for sharing and I’m glad you’re OK. It is also a test that should be taken about every three months to gauge whether the disease is being controlled. Our home sits at 8900 feet elevation and the Norcold fridge, Atwood WH, furnace all work properly when we’ve used them either in preparation for a trip or as a guest house. As for altitude sickness, it takes us a couple weeks to get our breath back after months at low elevation. We have our share of wildfires up here. Currently hotshots have flown in from low elevations and so far, no one has been injured, but plenty of dehydration (even thought they are nagged about hydration) and exhaustion from working at high elevation without they weeks needed to build up the blood to carry more oxygen throughout the body. I agree with Craig. We live in a Denver suburb at 5,700 feet and have never had any problems with either of our Dometic refrigerators or Suburban ovens and furnaces at our house. We have experienced no problems with any of those appliances at campgrounds in the Colorado, New Mexico, Utah, Idaho, California, Alaska, or Canadian mountains. And that can’t be because our appliances have been adjusted for our altitude because we bought both our custom-ordered, 2012 travel trailer and our 2016 5th wheel from a Chicago dealer two weeks after they were completed at an Indiana factory and neither were taken to any RV shop/dealer for repairs or adjustments. My guess would be that the problems occur primarily in older RVs and RVs that come up to our altitude from areas with more humidity and more insects that may clog gas lines and cause corrosion in electrical systems, especially at contacts, splices, switches, and breakers/fuses. Thanks for sharing your experience. You’re so fortunate to be free of those issues. Other RVers aren’t always as lucky. One of the reasons I decided to cover this topic is because of the huge variation in RVers experiences with altitude’s effects on their appliances. For example, my first RV, a 2007 Arctic Fox with Norcold refrigerator, was a new purchase we acquired in Portland Oregon. From the get-go, that refrigerator would have trouble staying lit when we boondocked at locations higher than 4,000′ feet. Our current 2010 Arctic Fox with another Norcold model, has had no issues at altitude. Go figure. “Power decreases 3.5 percent for each 1,000 feet above an altitude of 500 feet” does not just apply to generators. Many tow vehicles and motorhomes also have the same decrease in power at altitude. Oxygen sensors and computerized fuel injection have helped some, but not enough to really compensate at the higher elevations. If you have a turbocharged vehicle, however, the power loss is less than 1% per 1,000 feet of elevation gain. That is a primary reason that we now have a turbo-diesel tow vehicle for our 5th wheel instead of the naturally aspirated gasoline tow vehicle that we had with our travel trailer. And, from first-hand experience, the difference in towing ability over Colorado’s mountain passes is really amazing. We have a 9 month old Dometic fridge (in a 9 month old RV) that recently would not operate on propane in campgrounds above 9000 ft (Colorado Rockies). Fortunately, block ice was available in the areas we camped… Once we got down to 7000 ft, the fridge fired up right away. Our stove and water heater did fine at all altitudes. Mary, that’s just like our first Norcold. Weird isn’t it? Thanks for sharing. For all computerized engine driven vehicles they have a barometric pressure sensor normally integrated with the Map Sensor. Manifold Absolute Pressure sensor which reads the vacuum the engine is producing when running. Don’t forget double pane windows … they do NOT like high altitude … odds are huge that the seals will be gone and fog up … just sayin. It took me TWO sets of windows before I slapped my forehead. Anyone with SleepNumber (or similar) mattresses will need to let air out of the mattress any time they will be driving over altitude changes. It doesn’t matter what the actual altitude is, it is the CHANGE in altitude that matters. Ah Ha!!!! I wondered why my Dometic fridge would occasionally go out at altitude and then be fine when I fired up the generator. My unit is a 2015 Rockwood. It didn’t occur to me that the altitude would be knocking it off. Good info and thanks.